More than one million users have downloaded the latest version of Mac OS X 10.7 Lion. Lion once is boasted has more than 250 new features, but Apple only declared a small part of them. We pick out some of the most classic tips presented to you. 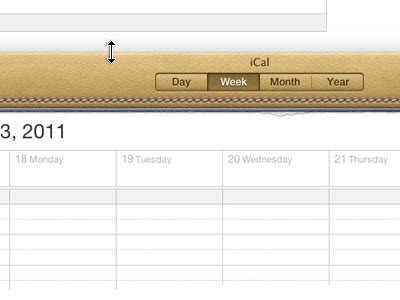 In the past, such as Mail and iCal programs require you to set one by one. But now, in a file named “Mail, Contacts, And Calendars” system default, you only need to set once the same as the iPhone. Unfortunately, for the support of Google multiple Calendar is still ignored, Google contacts through address book application to set. 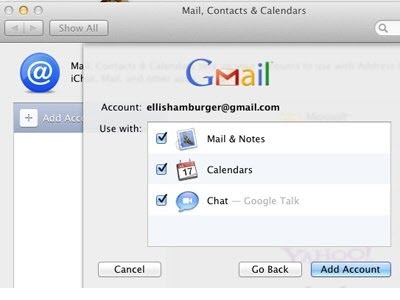 iChat replace Google chat. Why? Because you are more likely in Lion switch between different space. 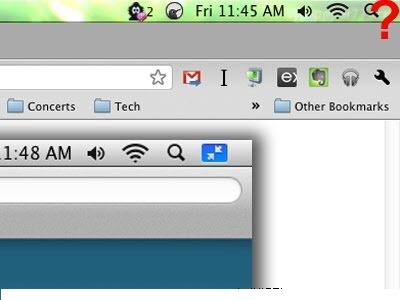 Open the “Mission Control”, and then drag an open window to the upper right corner of the screen. You will find a new square appears. You drag the window into the square inside, thus creating a new space. To close the space again into “Mission Control”, the mouse into the space left corner (above), and click the black “X” on it. 3. Some full-screen application is faulty, how to quit? Many fancy applications, such as Mail and iPhoto in the Lion has been optimized for the new full-screen mode. To cancel full screen mode, put your mouse over the upper right corner of the screen and click on the blue minimize button. If you are stucked by any full-screen application and want to use a shortcut to solve this problem, please try the “Command + Shift + F” key combination. 4. Hate the natural rolling? To see how to cancel. Since the Lion has been issued, the natural roll has become a controversial topic. Many people choose to trust Apple to adapt, but others (especially the alternate use of Windows and Mac users) need to scroll back to the former mode (in the past 10 years). 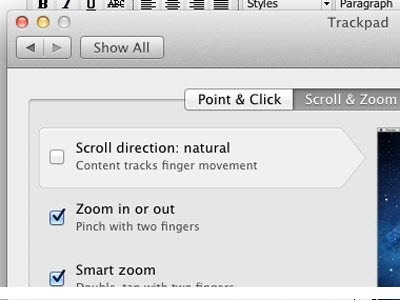 System Preferences (enter the system default) → Trackpad → Scroll And Zoom tab, cancel the “natural scrolling” option, you will return to normal mode. However, this also reverse the horizontal scroll, so when switching between different virtual desktops may feel the reverse. 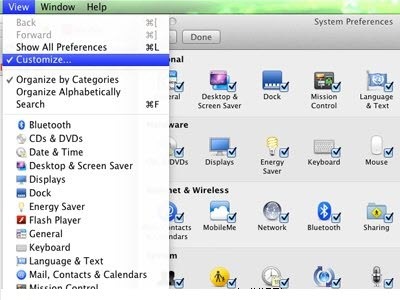 In the Lion, you can customize the system default settings panel. In the system default, click the “View” menu, select “Customize”, then remove any options you do not want to see. 6. ”Finder” now allows you to search for files by type. Want to find a document, but does not determine its exact name? with Finder to narrow the scope of it. 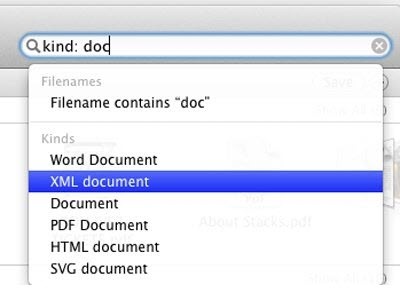 In the Finder’s search box, enter ” kind: pdf ” or ” kind: doc ” etc. From the drop-down list, select a file type, but you can only search your computer supported file types. If you are unsure about the exact file name, this tool will be very useful. 7. Now you can reset the size of any window from any side. Previously only from the corner of the window to reset the window size, the limitation no longer exists. 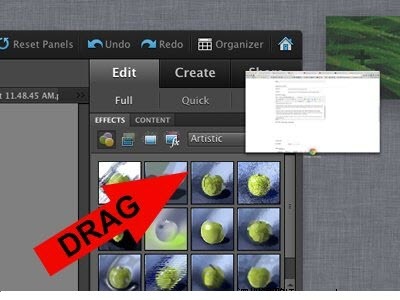 Now you can mouse over any edge or corner of the window to reset the window size. 8. Don’t miss the Apple gorgeous Desktops. Apple’s each new operating system will carefully chosen wallpaper, of course, the Lion is no exception. In the “Desktop & Screensaver” group of options in the screenshot, you can find some new desktops in swallpaper pictures folder . 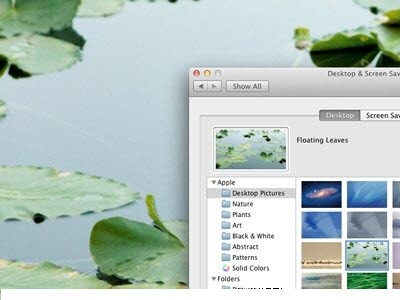 Another bright spot is that if you want a different set of different virtual desktop wallpaper, you only need to enter the virtual desktop and select your favorite pictures. Until you exit the room before, will remain for each virtual desktop wallpaper you specify. If you click on the Quicktime moving arrow, will find a new batch of features available. 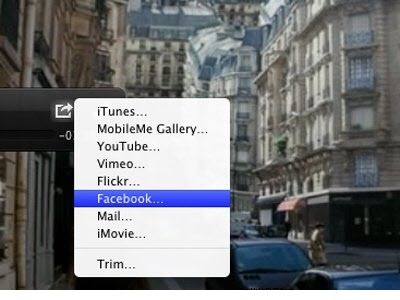 Quicktime has support directly to Flickr, YouTube, Vimeo, or Facebook upload video, and if you export the video file can also be separated from the video and audio are saved. 10. 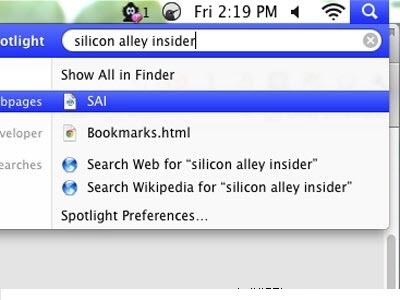 Directly search pages and Wikipedia from the Spotlight.